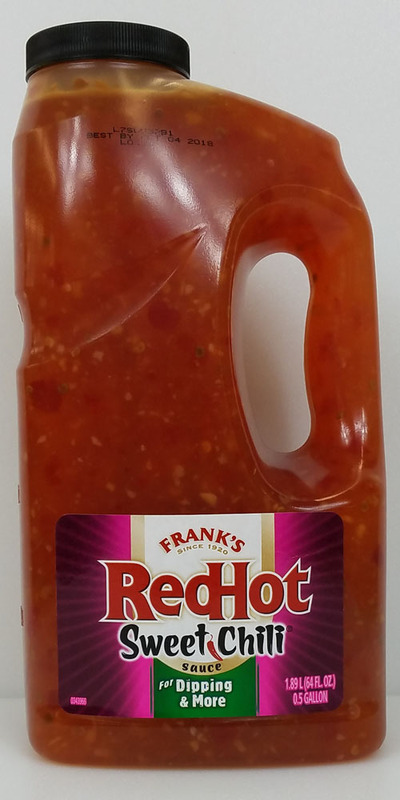 Frank's RedHot Sweet Chili Sauce delivers the perfectly balanced sweet and spicy kick. With eye-catching, robust bits of authentic Thai Chilis and real garlic, it is the best way to add on-trend Asian flavor to your menu. A deliciously, sweet, full-bodied alternative to traditional hot sauces. Use for marinating chicken, pork or beef. 1/2 Gallon.